The wedding ring is a timeless component of a wedding, as it signifies the bond between husband and wife. The best part is – you get to wear it every single day after you get married. As such, only the best ring will do! 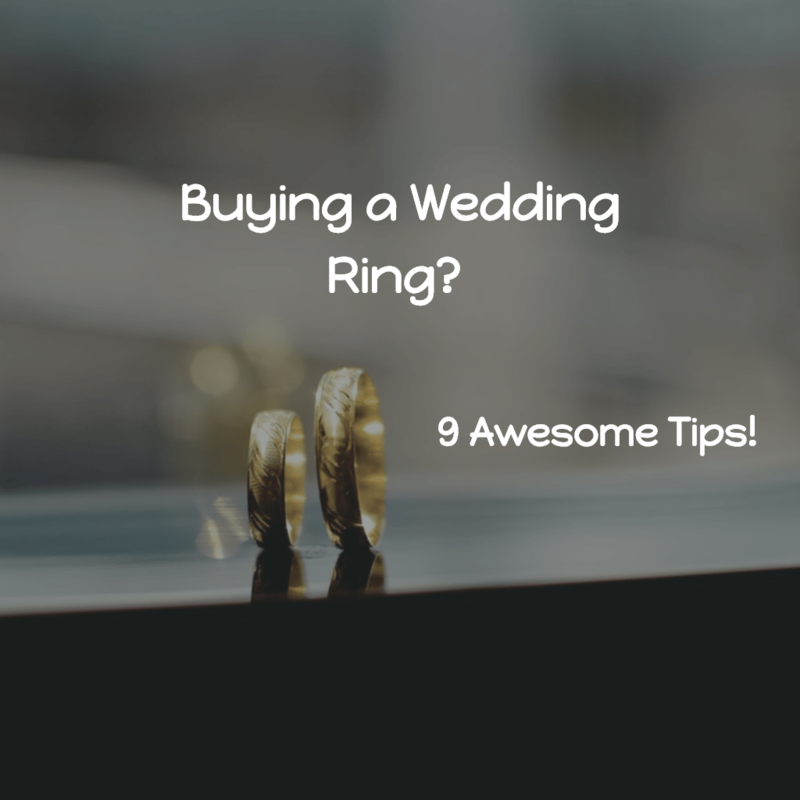 Below are some pointers to make the process of buying a wedding ring so much easier! As soon as you decide to get hitched, start looking for the wedding ring! Look in wedding catalogs to get an idea of what styles are available, and what design will suit your finger(s). You can also go to the jewelers in your hometown to see what they have to offer, and how the prices are. Lastly, if you have friends who are married, check out their rings and steal some ideas! Would you like a yellow gold, white gold or platinum ring? All these options, as well as many others, are available at the jeweler. Your choice of metal will depend on your budget, what your engagement ring is made of, and the style you choose. When buying a wedding ring, many couples are carried away by the beautiful rings available and end up purchasing rings that are pricey at the expense of other necessary wedding items. To avoid this, shop around to get to know the prices, then make a budget, and stick to it. It is possible to get a gorgeous wedding ring for a fair price if you look around hard enough. Do not get a ring that you have to keep taking on and off when you want to do certain activities. Get a ring that you can wear when doing laundry, gardening, and other household chores. Your ring should be styled such that when your grandchildren look at it, they will find it as beautiful as it was the day you got married. Do your research, and find out what styles are both trendy and timeless! Buying a wedding ring that is of excellent quality is the best investment you can make. Check if the rings that you are interested in have a manufacturer’s trademark or symbol of quality. Any jeweler who makes good quality rings will always put a distinguishing mark on each one to make them distinct from the others in the market. For brides, the wedding ring should complement the engagement ring, in color, shape or style. Most people prefer to purchase their wedding rings from the same place where they get their engagement rings so that there is uniformity in design. The bride and groom’s rings do not necessarily have to match. Each of you can get a ring that suits your personal taste. Just make sure they have at least one thing in common, like the material or the color. Lastly, when purchasing a wedding ring, make sure you get the size right. If you buy one that is too big, it may slip off your finger, while a tight-fitting one may become too small with time. Your jeweler should know how to size the ring right so that you will not need to adjust it even if you put on a few kilos. Though buying a wedding ring may seem like a simple task, it has to be done right. Get the right wedding ring, and you can wear it with pride for several years to come! Where can one get an engagement ring in Cameroon and more precisely in Yaounde? ?